In one of the offices in Japan the owner has got a good way of keeping an eye on their staff. 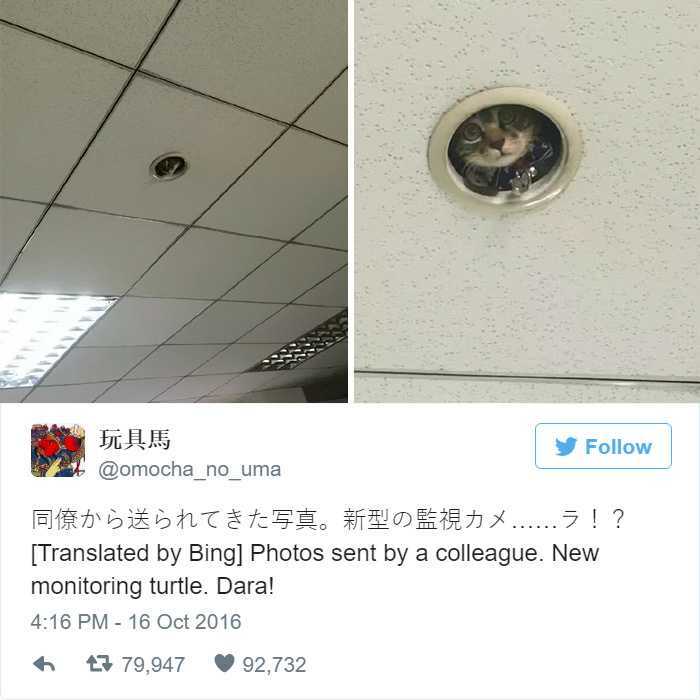 The cat, named Dara, was joked to be the office’s new monitoring system. 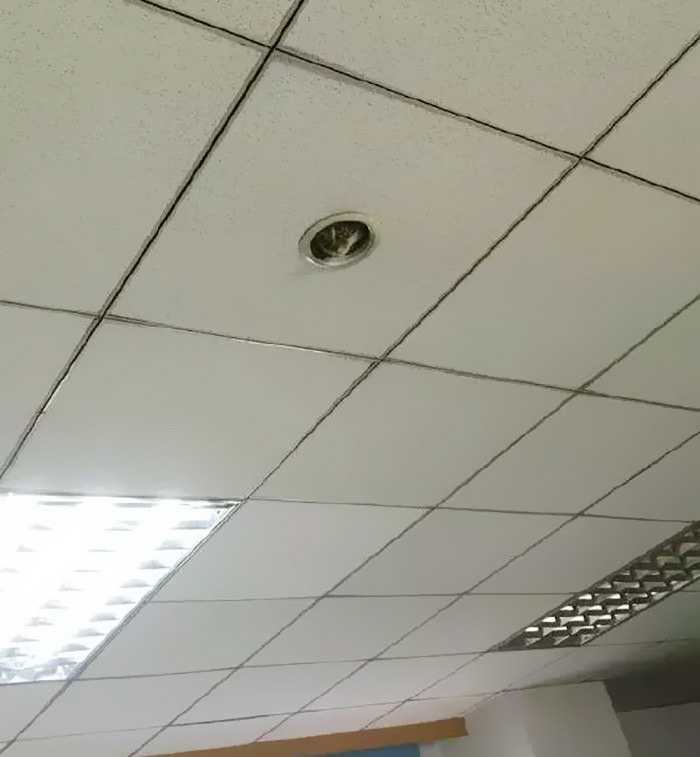 The tabby cat has popped its head through a hole in the ceiling of an office. Staring down at the employees from a light fixture was a wide-eyed and, quite frankly, adorable cat. No one exactly know how the cat got up there, but no doubt it’s had a good effect on office morale. It has changed the atmosphere of the office for a while. It was a wonderful experience for everyone present there. 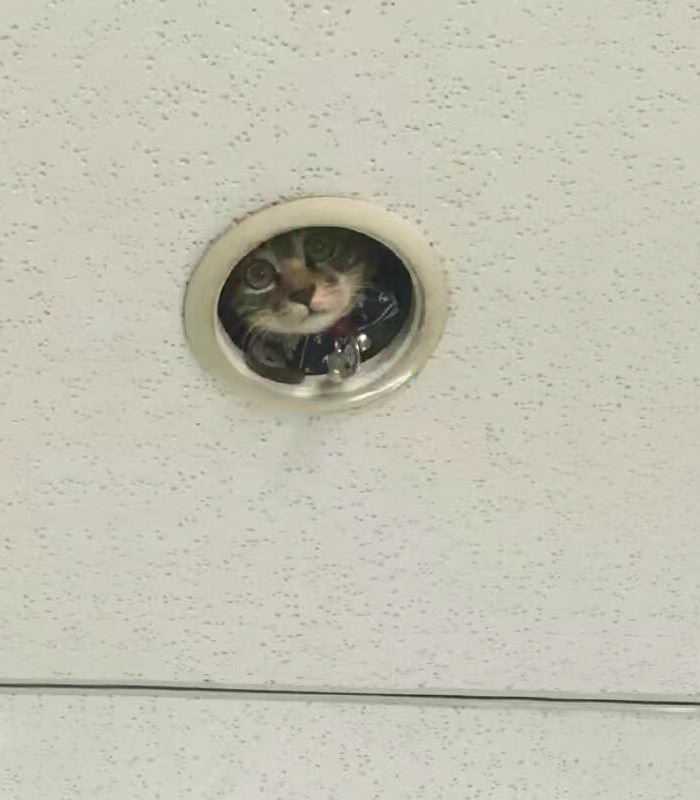 Japanese Twitter user uploaded pictures of a cat spy in his office. The mischievous moggy became an internet sensation after her adventure. The shocking and cute images have been shared many times. Photos show the cat wearing a blue collar adorned with a bell. In some photos, only the cat’s eyes and nose were visible. It looks like cats are being used instead of surveillance cameras to keep an eye on the workers. Bosses now have such a catty way to monitor their employees. It keeps them alert and focused on their work. Scroll down to see the photos! The cat peeks through a hole on the ceiling.